Jazz musician Ellen O’Brien still gets teary-eyed when she recounts the tale of how she ended up in a spacious one-bedroom apartment at El Barrio’s Arstpace PS109. Like many artists in New York City, life has been a struggle. When an already precarious financial situation coincided with her apartment burning down, she lost everything except the clothes on her back. Luckily, Ellen was one of 89 applicants selected from a pool of 53,000 to reside in Artspace’s community-driven live/work artists’ housing project. 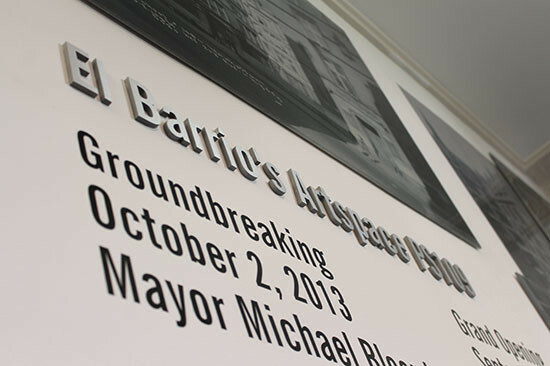 It is quite fitting that El Barrio’s Artspace was once a school, given the spirit of creative development it espouses. Designed in 1898 by Charles B.J. Snyder as a Neo-Gothic public palace of learning, the building was eventually abandoned, sitting fallow during the 1990s. 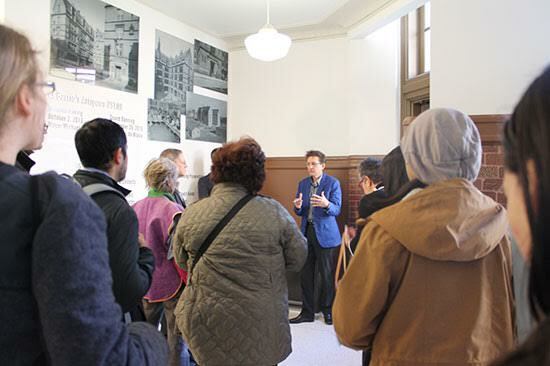 “The place was just a war zone,” said Archtober tour guide and HHL Architects Partner Matthew W. Meier. Steel roof members were rusted through, wooden floors had rotted, and squatters had made the site their home. HHL Architects was challenged to preserve the original characteristics of the dilapidated school while configuring the classroom spaces into functional live/work apartments. They salvaged as many materials as possible, from decorative terracotta to crown moldings, and made a clear distinction between historical and modern conditions. Even the smallest units, at 450 square feet, feel spacious due to the original structure’s soaring ceilings. 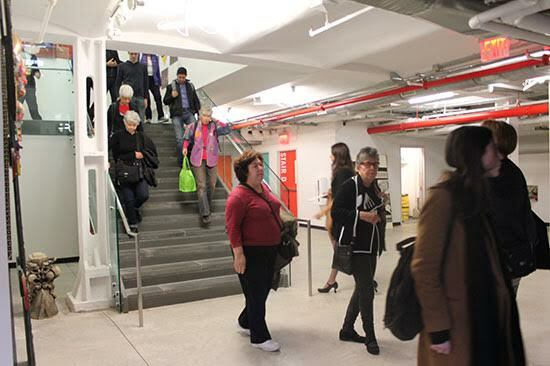 The artists’ live/work spaces are accompanied by 3,000 feet of resident gallery space in the lobby and 10,000 square feet of space for local arts nonprofits in what used to be the boiler room and storage rooms. 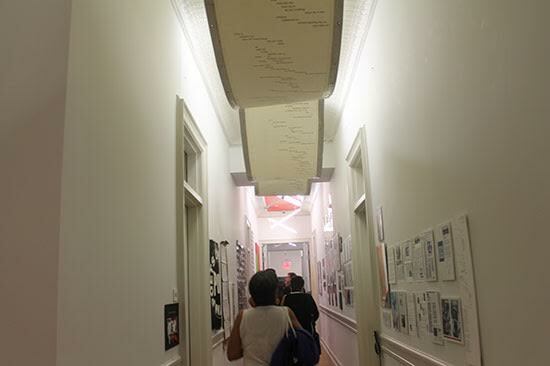 The creative energy at PS109 is palpable; the building’s Caribbean-hued corridors and lobbies double as exhibition spaces for resident artists. Ellen has made good use of her creative neighbors, who helped her set up her new website, photographed her latest album’s cover, and even do her hair and makeup. More importantly, she says she hasn’t been so prolific in years. 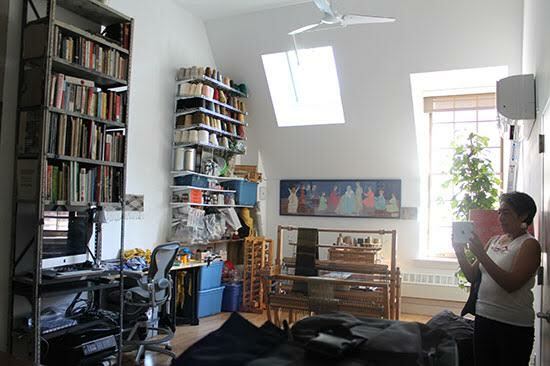 Living around artists has provoked her to create.